Moving elements in a city, and in particular the people and their actions, are as important as the stationary physical parts. We are not simply observers of this spectacle, but are ourselves part of it, on stage with other participants. 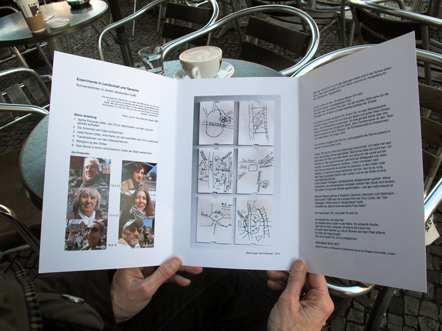 Site-specific publications edited from words and drawings gathered in conversation with people sitting in the cafe.